The mission of search engines (Google, MSN, Yahoo, etc.) is to provide searchers (their customers) with the most “relevant” results to their query. Search engines use a complex and constantly evolving process that involves algorithms combined with many other factors to determine relevance. One factor int he process that reviews, catalogs, and rates your website is called “crawling.” Each search engine sends out “spiders” that periodically “crawl” over all the websites. They look for and record keywords contained in the website (such as in this case “florist,” “Springfield,” “MO”). So, when you enter those keywords in the browser search engine, they know what websites match what you are requesting. The spiders not only crawl over the copy you can see, it also looks in places you can’t see. It examines titles and labels like meta-tags or hidden index pages. These are important elements to have within your website so you gain SEO credit and thereby improve your organic placement higher in the list. 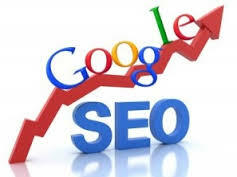 You can see the importance the development of your website has on your SEO rankings. If you build a website without good SEO elements, you’re going to lose ranking position to competitors. And you really don’t want to be below the top five. 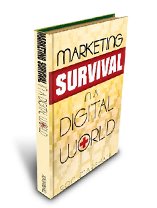 Marketing Survival on a Digital World written by Ron Marshall. The volume of traffic you have on your website. The search engines assume that if a lot of people visit you, you must be good. The age of the domain name and how long your domain name has been registered. You get credit for longevity. Even if they did tell you all the exact rules today, they wouldn’t be the same rules tomorrow… Google actually changes their algorithm rules more than 500 times per year. *Download the incredible resource “Marketing Survival in a Digital World” by Ron Marshall. Marshall, R. A. (2013). Search engine marketing. Marketing Survival in a Digital World (pp. 130-131). Springfield, MO: Big RAM Publishing LLC.